The Framer's Workshop, Berkeley Ca: Framed Street Sign with Printed Backing and Mat Walls. 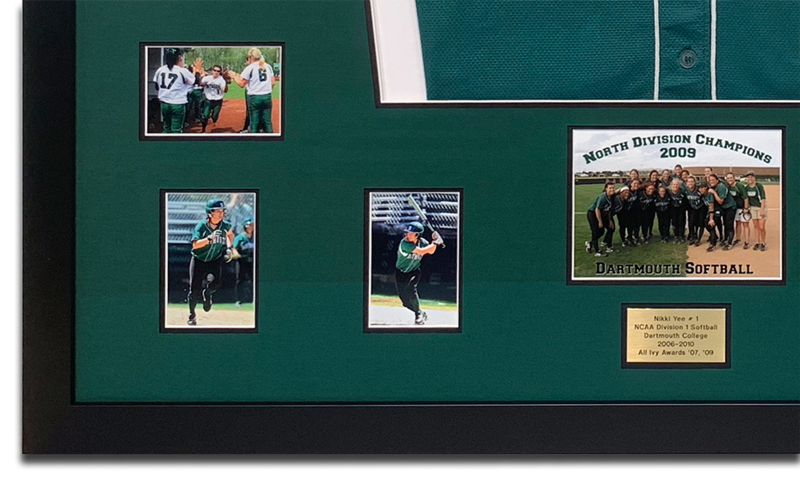 Artfully preserving memories is one of many reasons to frame a personal collection. 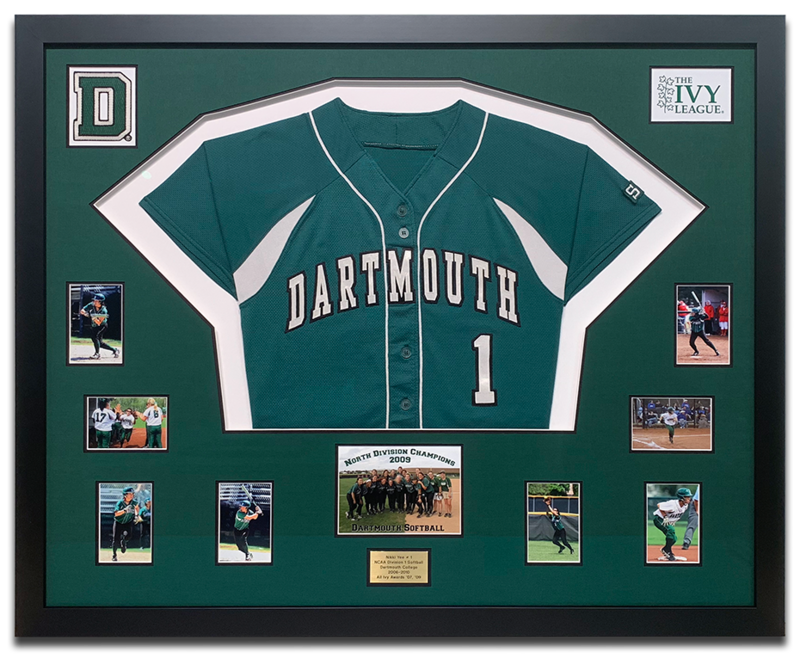 We framed this Dartmouth softball jersey, brass plaque and other memorabilia in acid free matting, matching the school colors. The jersey itself is hand-sewn to acid free backing with a mat opening shaped to fit. We used Museum Glass to reduce glare and protect against the harmful effects of Ultra Violet light. The frame is a simple black wood. See detail below.